Each serving of Optimum Nutrition Creatine Powder supplies a full 3 grams (3000 mg) of Creatine Monohydrate. The production method used to produce this Creatine yields a tasteless, odourless powder that mixes easily into water or juice, and does not readily settle to the bottom - meaning no gritty taste or texture. You must be 18 years or older to purchase this product. Add 1 rounded teaspoon of Micronized Creatine Powder to a glass filled with 240-350 mL (8-12 oz) of cold water or fruit juice. Then mix it up with a spoon. 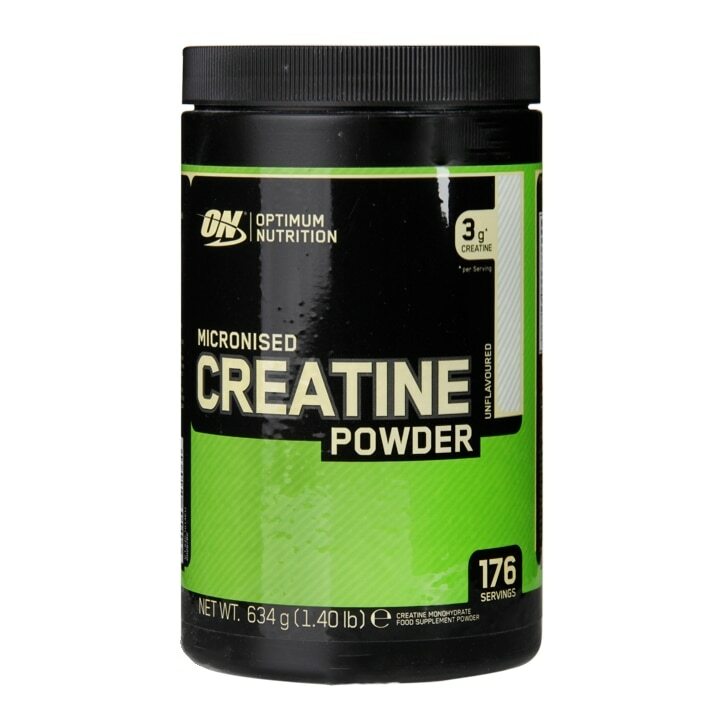 Optimum Nutrition Micronised Creatine Powder is rated 3.5 out of 5 by 4. Rated 2 out of 5 by Abdulz from MICRONISED or MONOHYDRATE? On the packaging it says Micronised but in description and ingredient says Monohydrate? which one i bought? Monohydrate is cheaper than Micronised why the label is misleading ? Rated 4 out of 5 by Leon from V,Good Mixes well with water, no residue! Will purhase ON products again!